Egyptology is a relatively new and fast-moving science: it is not yet 200 years since Champollion decoded the hieroglyphic script (1822) and revealed Egypt’s dynastic history. Increasingly, we are able to tie that long history into Egypt’s archaeological remains. The past decade has seen major changes in our understanding of mummification, and in our ability to investigate ancient human remains and ancient diseases. The development of mummy DNA analysis is particularly important, and we are on the verge of being able to link together members of the New Kingdom royal family, which will enable us to understand some of the dynastic complexities that currently have us baffled. 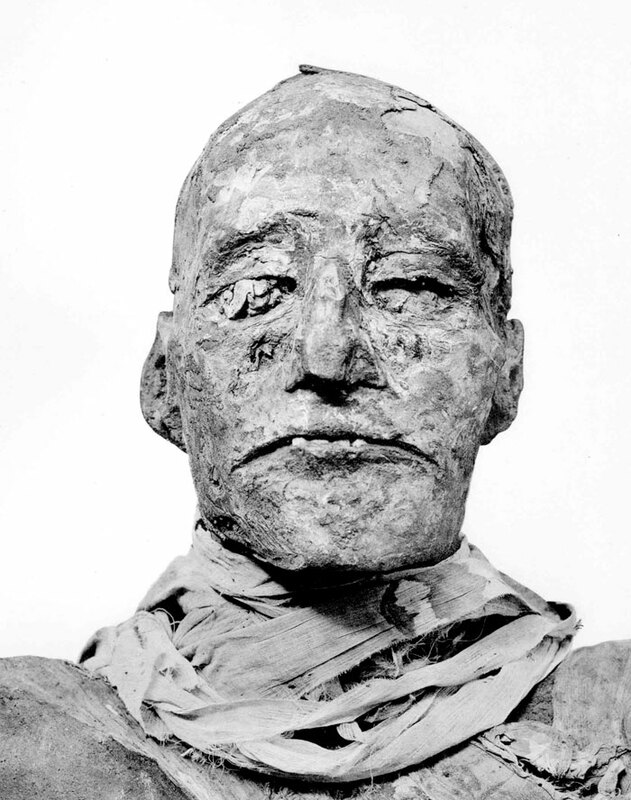 Using recent medical examination techniques on the mummy of Ramesses III (seen here as photographed in 1912) revealed his throat had been cut.